No one loves the West Coast like Angelenos do, which is something you can sense looking at Mike Miller’s extensive collection of photos. You’ve probably seen his work before: Miller, a photographer and director, is behind quite a few iconic shots showcasing the bold and sunny reality that is life in the Golden State. He’s been on the scene since the late 1980’s, and has helped capture the rise of hip hop on the West Coast with shots of artists like Tupac Shakur, Ice Cube, and Eazy-E. 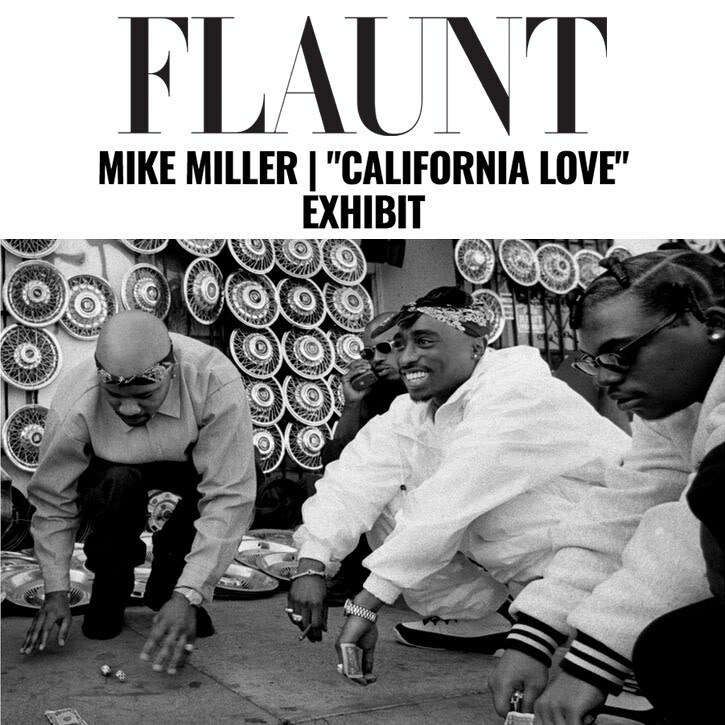 This Saturday, as the wet, hot West Coast summer comes once again to an end, M+B Photo will begin hosting Mike Miller’s exhibition, California Love. There, Los Angeles newcomers and natives alike can spot some of Miller’s most famous shots, and some that have never been released. The opening reception for the exhibit is on Saturday, September 8 from 7 to 9 pm, but Miller’s images will stay up in M+B Photo until November 3, 2018 — so there will be plenty of time to come show your love.